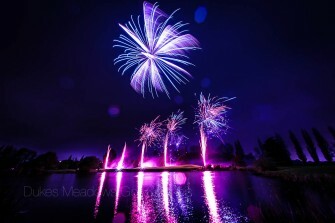 On Saturday 4th November 2017 we will be hosting our popular Fireworks Extravaganza and we would love for you to come and join us for another fabulous occasion at Dukes Meadows, Chiswick. Last year’s display was one of our highlight of the year with ‘Absolutely Fabulous Fireworks’ putting on a fantastic performance to over 2000 local people. This year we promise to make it even better! Doors will be open from 4.30pm and the fireworks is set to start at 7.30pm. We will have a number of food and drinks offer both in the Clubhouse and outside on the terrace including a delicious BBQ. Live music from Jamestown will kick the evening off so come and join the party! We are looking forward to hosting another wonderful night at Dukes Meadows and hope to see you here.